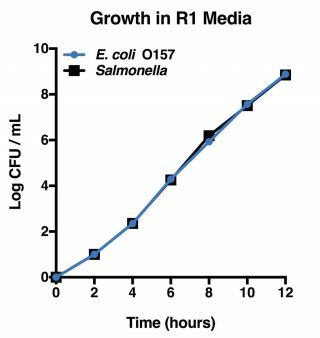 Detection of Salmonella, pathogenic E. coli, and other gram-negative bacteria. Detection as early as 8 hours post-enrichment. Detection in foods such as raw meats, ready to eat products, leafy greens and environmental samples.